The editor muses on the perceived shortage of young beginners in the hobby. A full sized plan of a cattle wagon plus info on how the Manx Electric Railay's version was built. 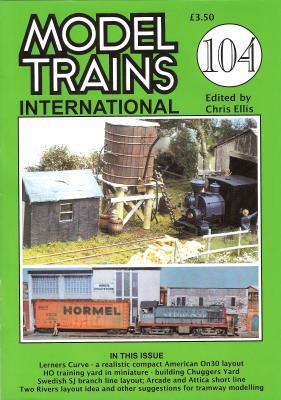 Giles Barnabe recalls an interesting layout idea and relates its potential for modern modellers.